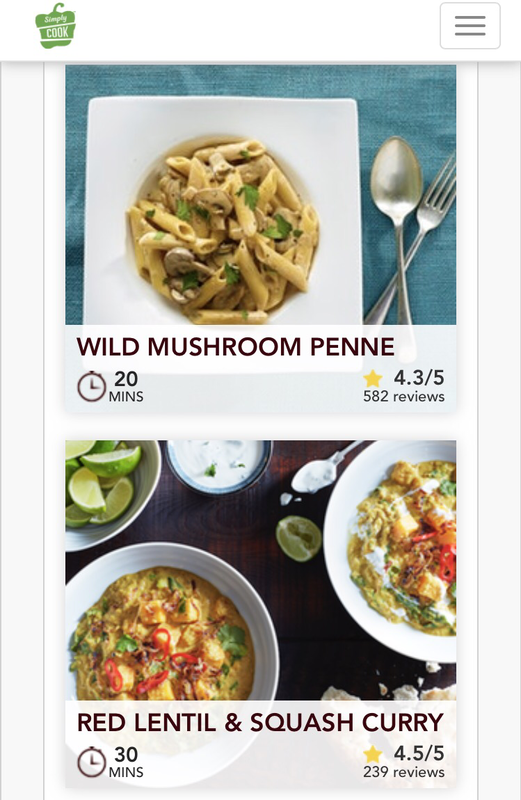 Just a quick post to tell you about Simply Cook, a great little recipe subscription service, that delivers exciting & easy-to-follow recipes to your door, as often as once a week. Each box is made up of 4 recipes, and each recipe includes all spice mixes & pastes required, you just need to add around 4-6 fresh items. 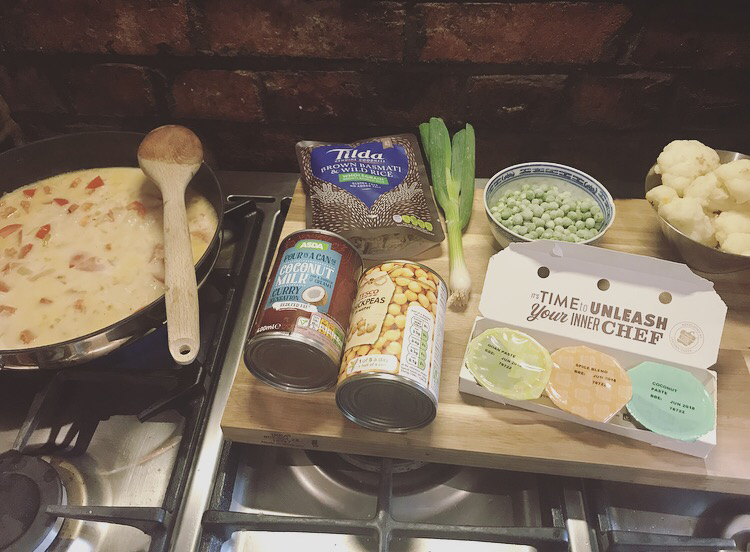 Not to be confused with companies like Gousto, who deliver everything you need for each dish, with Simply Cool you do need to add a few bits yourself, but often these are items you may have in your fridge or pantry already ~ fresh veg or tinned beans for example. I was able to get my first box in a deal for just £1, but a monthly 1 box subscription is only £9.99, which works out to just £2.50 a meal, and shipping is free. 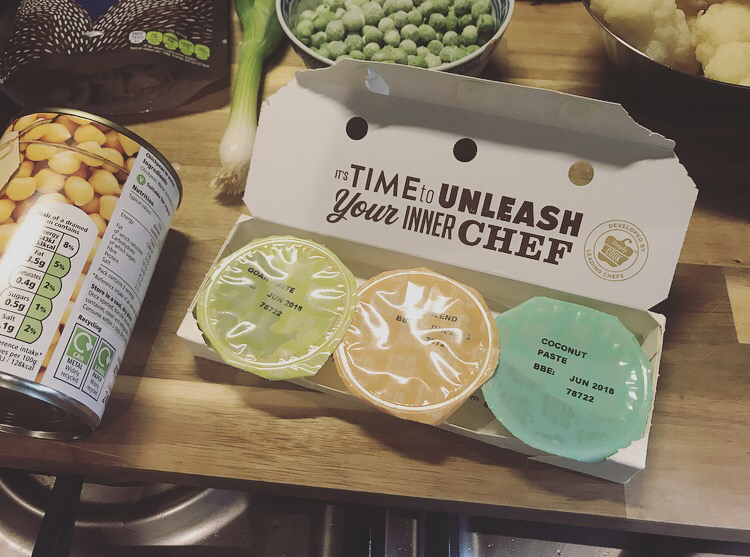 You can choose between the Discovery, Light, Gluten-Free or Vegetarian Boxes, with many of vegetarian dishes either already being vegan friendly, or easily adaptable to be so. We’ve made 2 of our 4 recipes so far, and tonight it was the turn of the Goan Cauliflower Curry. It only took around 25-30 minutes to prepare, and with the pastes and spices, you get a really deep flavour that would usually be impossible within that sort of time frame. I’m not a fan of aniseed and the spice blend for this dish had a very pungent aniseed smell, so I simply left it out. Luckily there was enough flavour from the Goan curry and coconut pastes already. 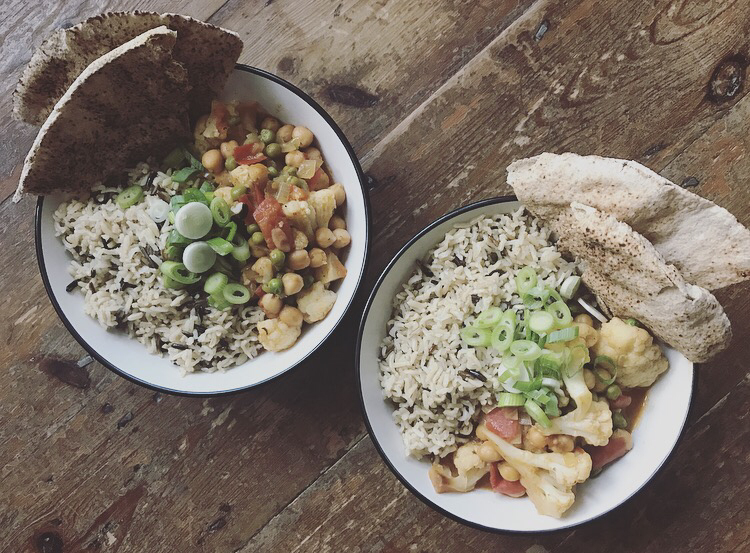 There’s usually an offer for new registrations, so worth a go if you’re looking for quick mid-week dinners that come with some new, authentic recipe inspiration. Have you tried them? What meals did you get? Let me know how you got on! 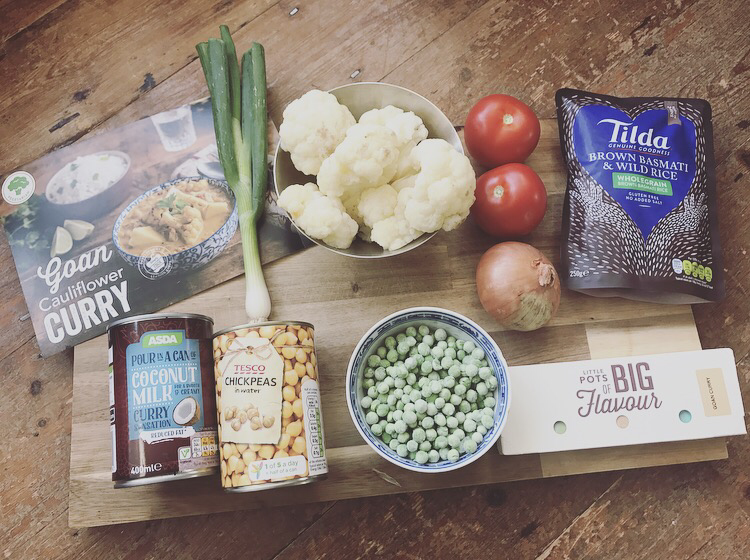 Click here to claim for vegetarian trial box now. Fan podcast to discuss the MCU!